Nick running on Harris Ridge. I’m not much of camping person lately. Sure, I’ll camp when it makes sense for an objective but I rarely camp for the sake of it. If I can do something in a day, why drag it into two? I like to be able to go home to my nice house, a well cooked meal, and my warm bed, and then get back at it the next day! 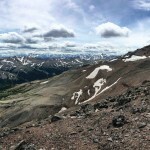 The South Chilcotin Mountains are a huge area north of Pemberton, criss-crossed by horse, mountain bike, and hiking trails. 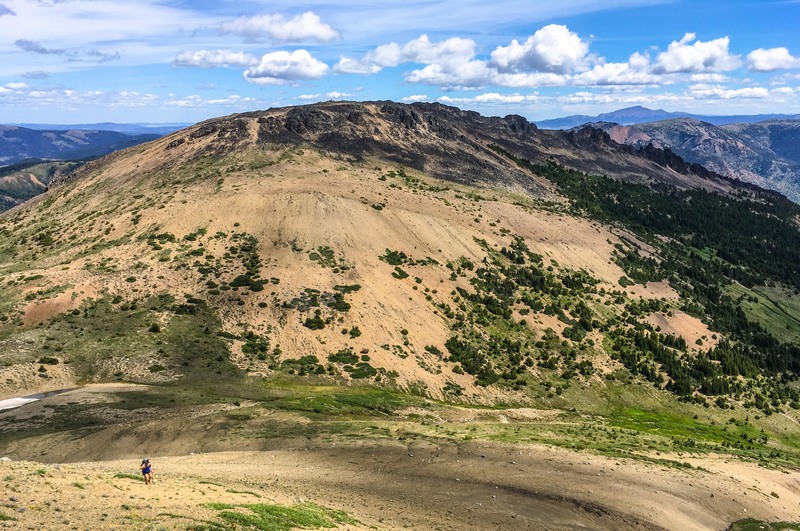 While there are plenty of opportunities for out-and-back runs in the park, it’s sheer size beckons for long traverses of ridge lines. Deep valleys run into the heart of the park with access by logging road. To really explore and experience the area, runs of 40-100km are ideal. 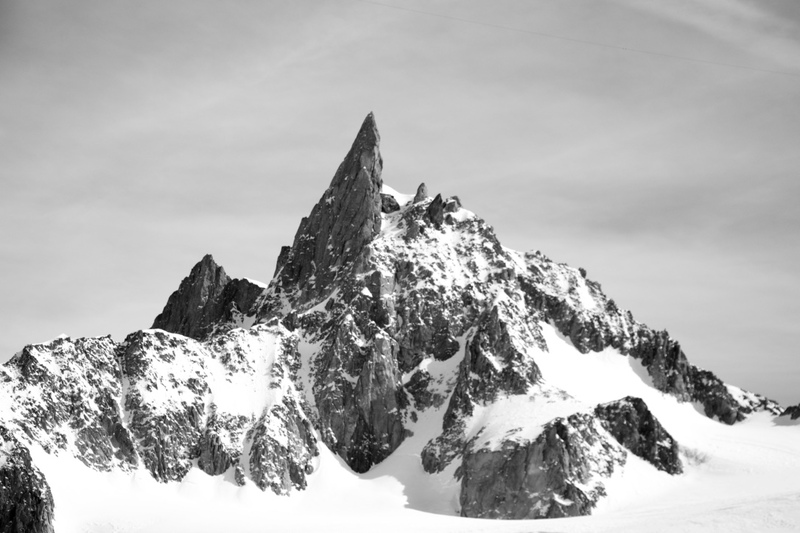 The Dickson Range. A very different feel from the rest of the South Chilcotins. 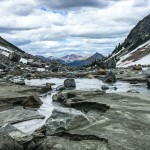 Glacial outflow below Dickson Peak. 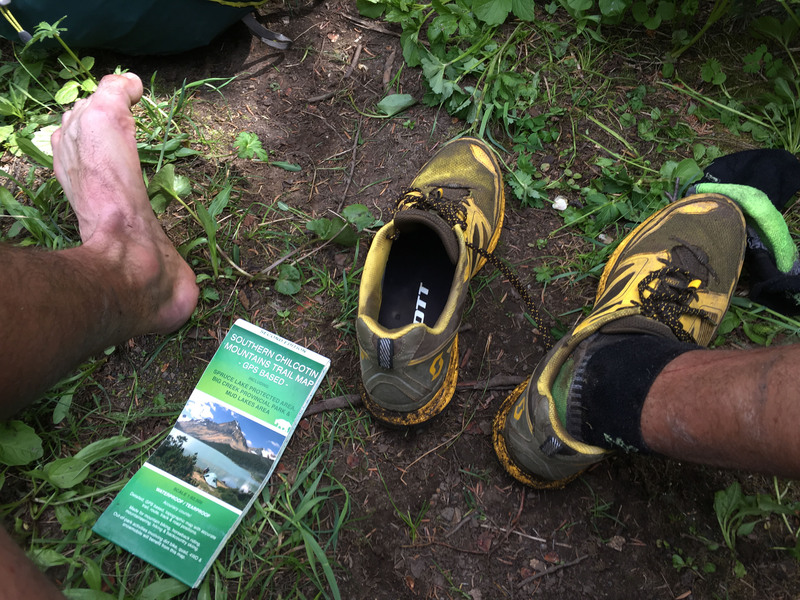 Nick and I spent two exploratory days running in the area, doing small loops, and barely tickling the park boundary. The mining history of the area is evident from the name of the nearest town (Gold Bridge) to the abandoned mines and equipment scattered around. 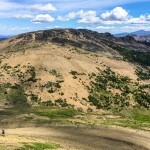 Luckily, those miners were the trail-blazers and a long history of horse packing and now recreational use by cyclists and those on foot have made for an amazing trail network below and above tree-line. 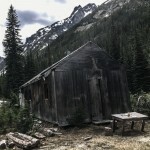 Creepy mining cabin at the head of Roxey Creek. 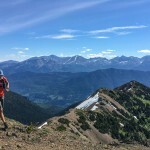 Our runs quickly revealed the most exciting part of being in the area was the amazing alpine travel possible. 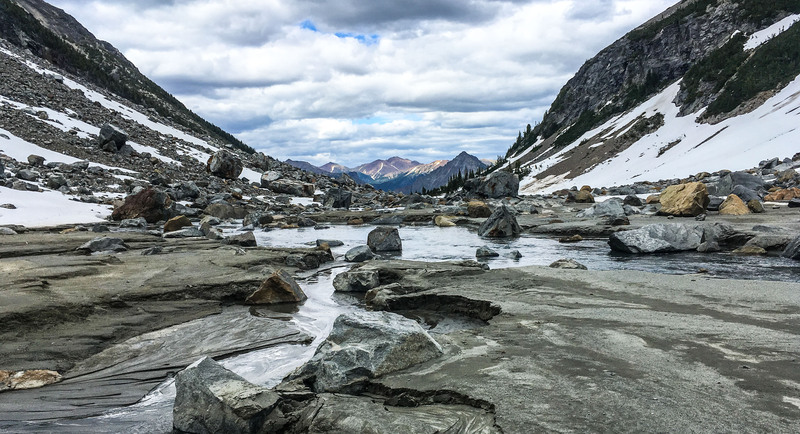 In the Sea-to-Sky, we generally have rainforest in the valleys and very rugged alpine terrain (lot’s of rocky talus and glaciers). Neither make for good fast running unless there are really well established trails. 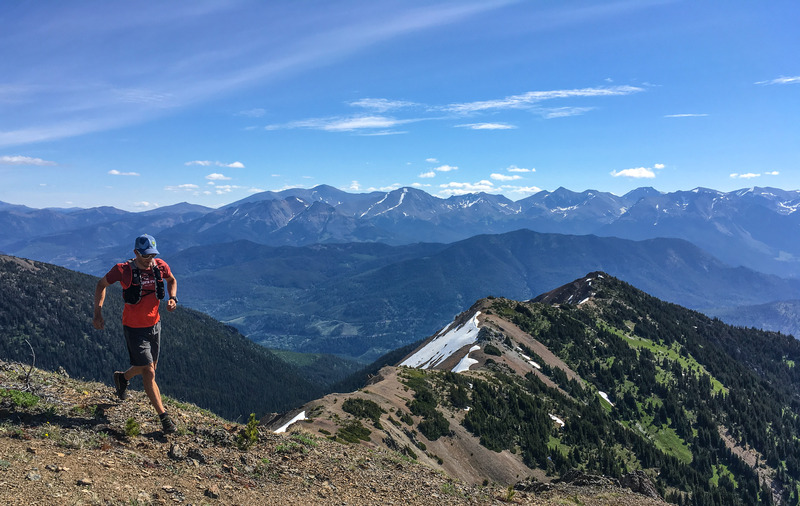 The Chilcotins on the other hand are much less steep with thinner forrest in the valley and firm rocky scree in the alpine that makes for incredibly easy running. You can almost go anywhere. 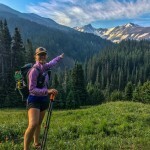 I think the key to a good trip is finding a good route from the valley into the alpine, then connecting ridges and passes to get to your destination. With all this in mind, the idea of a multi-day trip seemed like an optimal way to explore the range without too much logistical fuss. 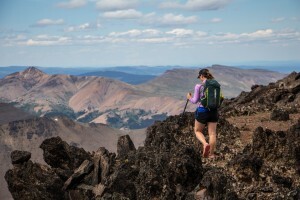 Fastpacking keeps pack weight low and pace reasonable. It also seemed a good way to get my girlfriend to come along. 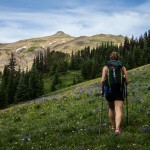 We decided on a single night test trip and chose the Paradise Creek area to explore. It’s a little further off the beaten path with a slightly more complicated road access so we figured we’d be more likely to be alone. It also has an excellent ridge that runs around the head of the creek. Andrea emerging from the alpine on Teepee-Relay Ridge. After a night of car camping at the trailhead, we got an early start on the 4km of deactivated road and then turned north following a rough flagged route into the alpine. 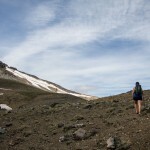 Pretty quickly we emerged into open alpine meadows with a meandering path. Our pace slowed dramatically, not because we were tired already, but because Andrea couldn’t pass by all the wildflowers without stopping. 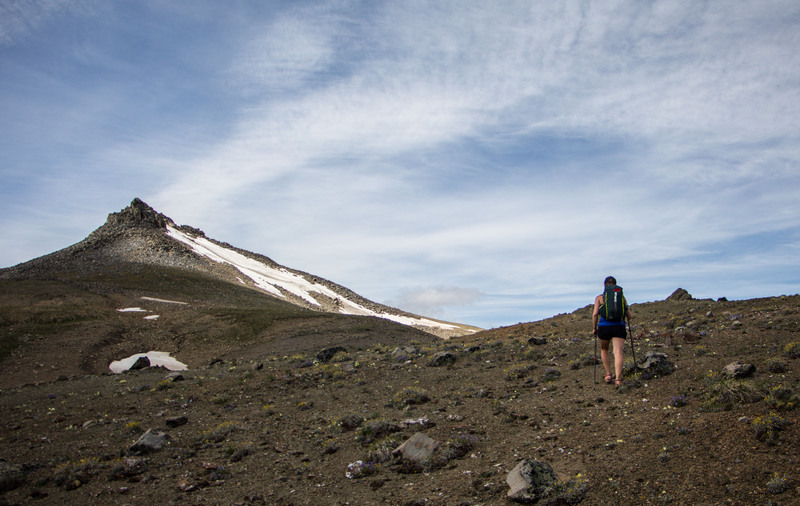 The flowers gave way to scree slopes and we headed up to the ridge crest. 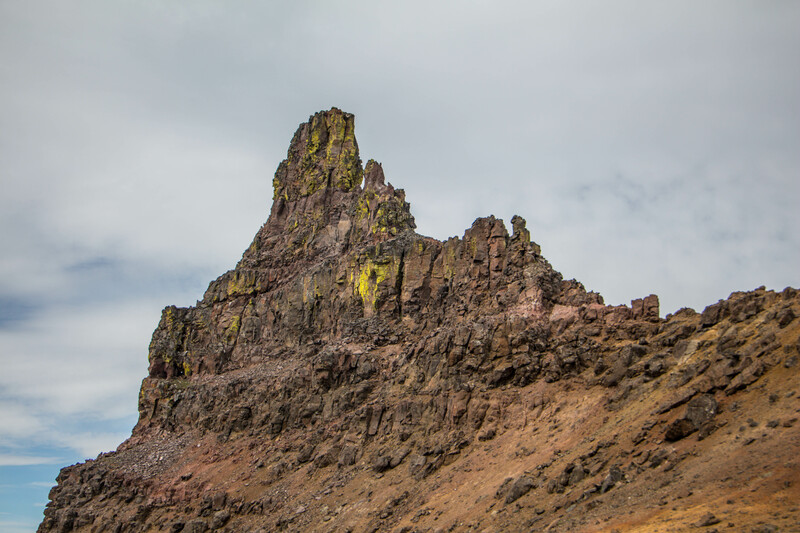 Our first peak of the day was Teepee Peak, an interesting volcanic peak with a summit block made from basalt towers. Incredible fossils on these slopes slowed progress further. So many fossils! These were the coolest. 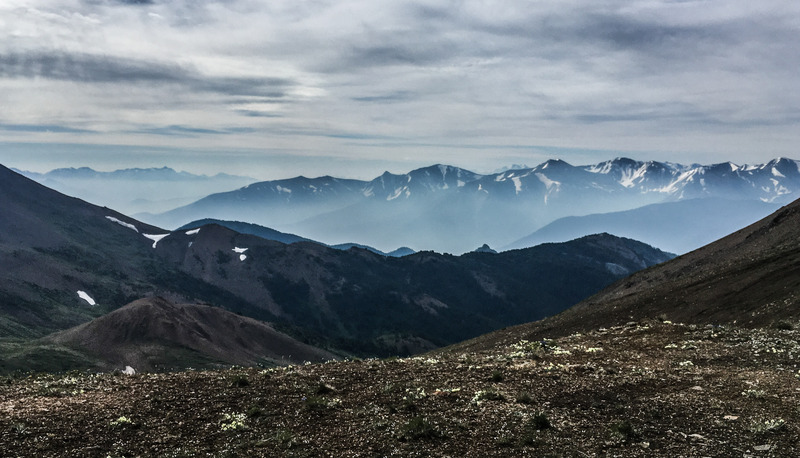 Beyond Teepee, we had a nice running descent to a col and then another big slog to Relay Peak, one of the bigger ones in the area. 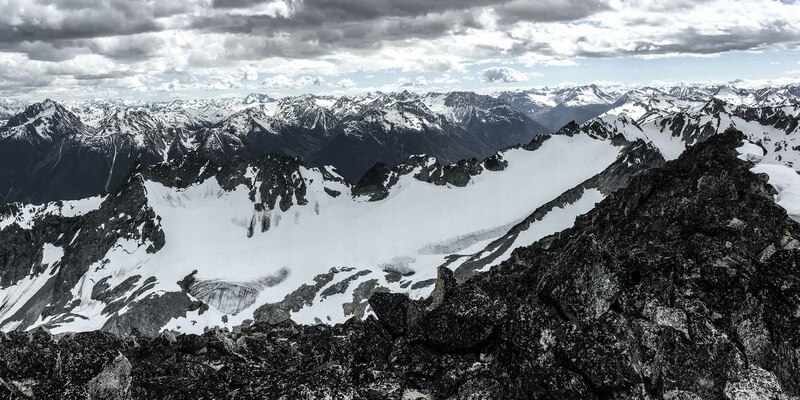 Topping out around 2700 meters on a completely non-glaciated peak was a little strange when you are used to the Coast Range. The peak was unfortunately not made of the nice basalt columns but instead a much looser volcanic rock that resembled stacked towers of dinner plates, held together by nothing in particular… The summit of Relay featured an old communications relay tower (it was obviously cleverly named) and a lone mountain goat in residence who seemed perturbed to see us. Another nice scree descent (and accompanying stop to empty our shoes) and we were headed to the Relay Col to find an established mountain bike trail heading down towards the valley. 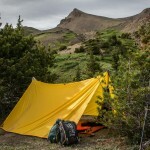 As we descended towards treeline, we spotted a nice flat area with a few trees where we could set up our tarp. 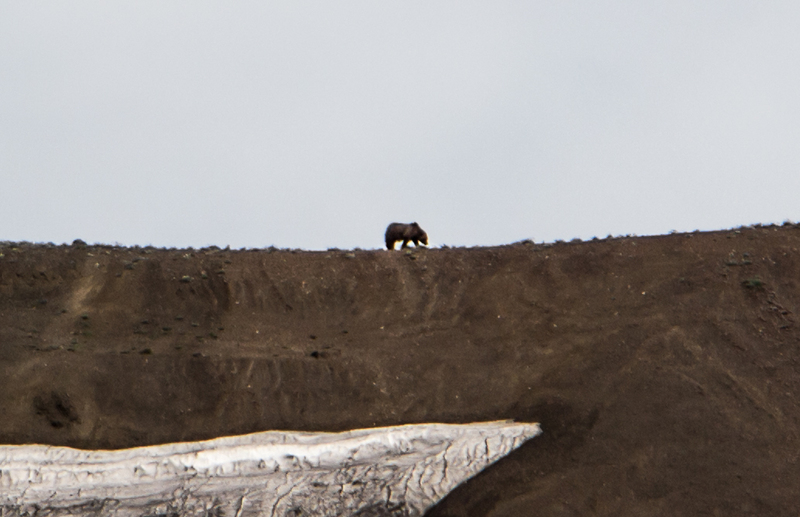 As we built our camp, Andrea spotted a big grizzly bear cruising the ridge above our camp, about a km away. 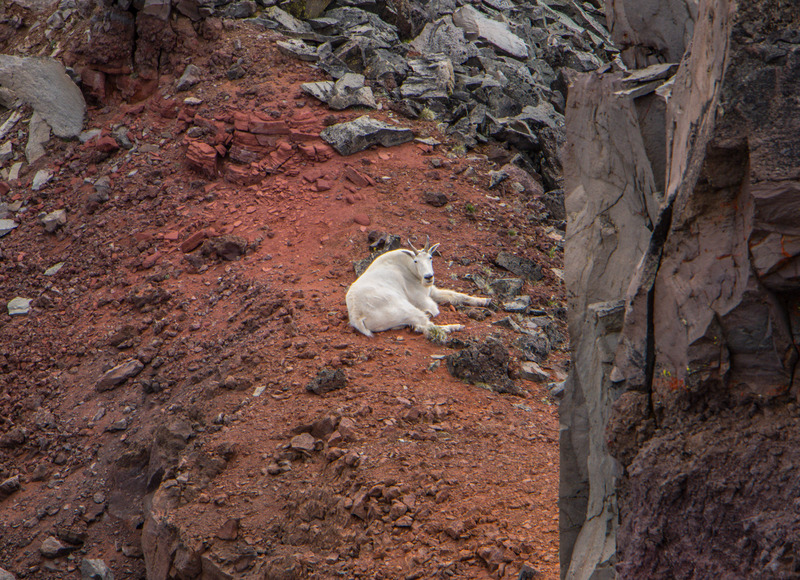 It was the first I’ve seen in the wild and incredible to see him so high in the alpine. 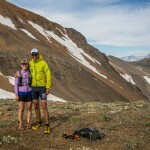 We decided not to take an evening excursion up to the ridge crest and instead, settled into dehydrated dinners and laid down for an early bedtime. Andrea scrambling on Relay Peak. Summer in BC means pretty long days so it was actually pretty hard to get to sleep before 10:30pm but our minimal tarp setup and sleeping bags were surprisingly comfortable and we both passed out. Sometime in the night, the wind changed and we both woke up with itchy eyes and throats. Smoke from the nearby Williams Lake fire had filled the valley. We’d been watching the fires all day and were a little nervous about being so close. 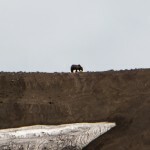 Along with the bear encounter, the smoke in the valley added to a bit of apprehension. At sunrise we packed up our camp and ate some breakfast before heading down to tree line and the Castle Pass Trail. 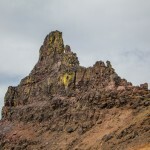 We cached a bit of our overnight gear and started up to check out Castle Peak – very prominent all the previous day from the other side of the valley. 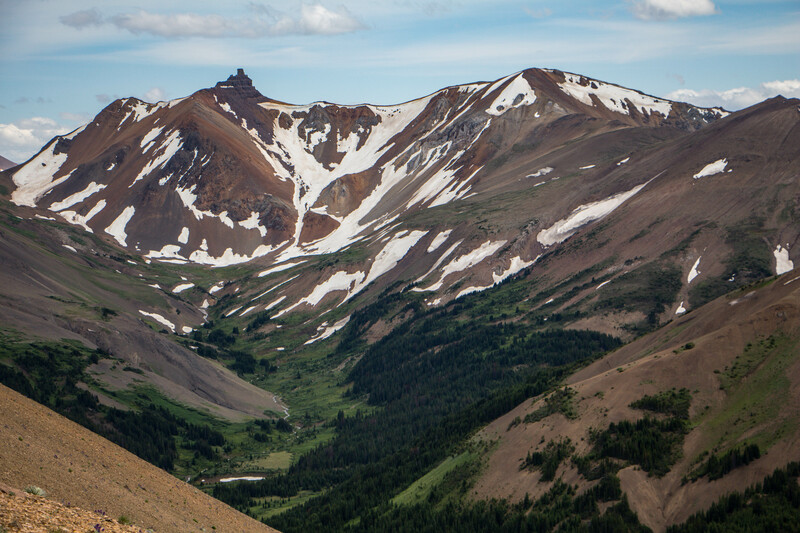 The trail follows scree slopes up the side of the valley towards the pass and we could see recent bike tracks. 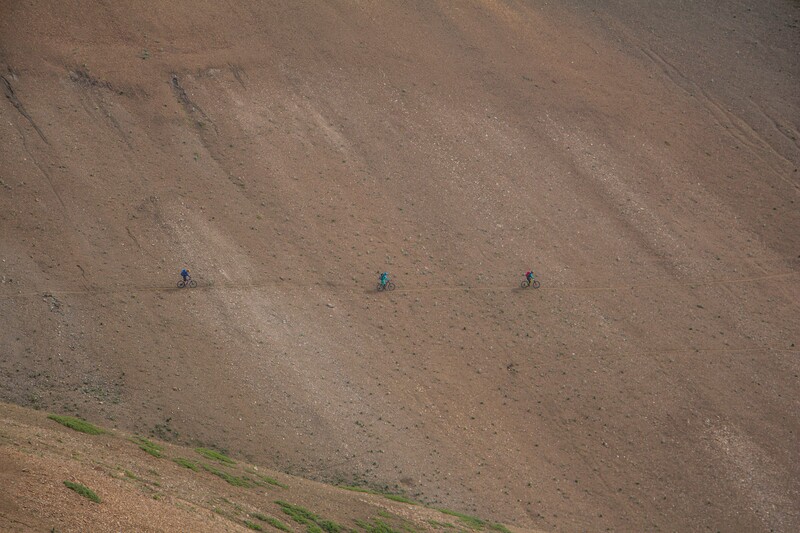 Just after commenting how horrible it would be to have to push bikes up the slope, we crested the pass and came along three women who had just finished doing exactly that and were ready to descend to the other side. I don’t know who was more surprised to see the other but we compared trips and then headed our separate ways. 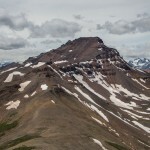 While Andrea had lunch at the pass, I attempted Castle Peak. I was hoping for the solid basalt of Teepee but found more stacked dinner plates. 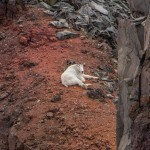 I traversed around the summit block and found lots of mountain goat fur but no easy scramble to the top. 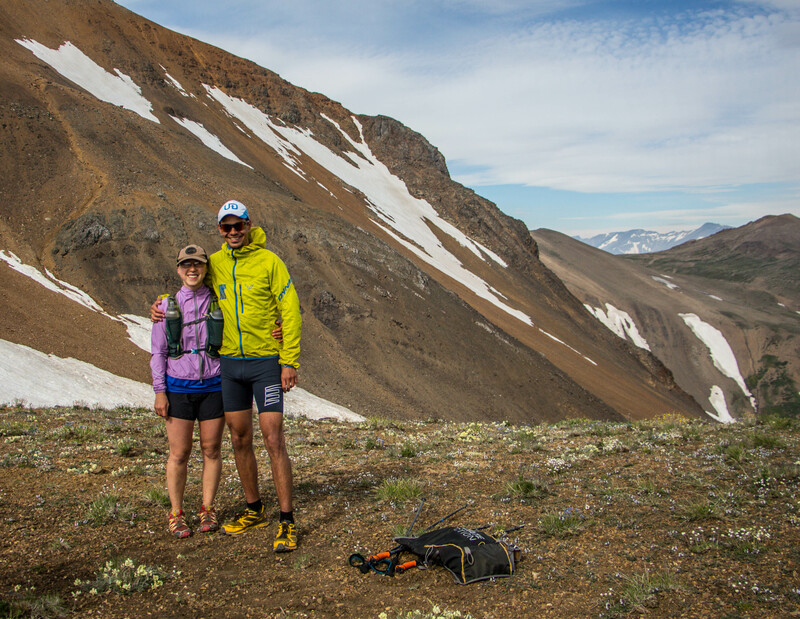 Some quick scree surfing and I joined back up with Andrea to enjoy the long descent back into Paradise Creek. 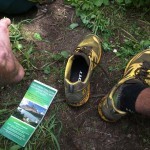 We scooped up our gear and continued back along the creek to the trailhead and the car. The Paradise Creek Trail was not the wide quad track I expected after running the Taylor Creek Trail last week but instead was perfect single track in places but also washed out and hard to find in others. We didn’t make fast time but enjoyed being back in the shad of the forest canopy. A few major creek crossings helped up stay cool but we were glad to be using this trail to finish the trip rather than start it. After making it back to the car and into sandals, we headed to Tyaughton Lake for a quick dip to clean off and then onto Gold Bridge for some ice cream. I’m already looking forward to going back! 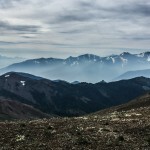 The South Chilcotin Mountains. Choose a direction and go! 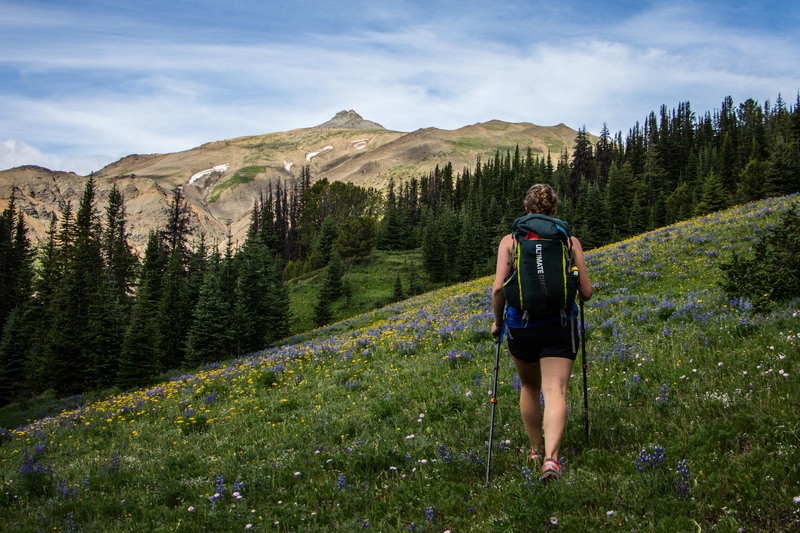 This was our first crack at “fastpacking” – essentially another way of saying “ultralight backpacking and occasionally jogging”. One of my sponsors, Ultimate Direction makes specific packs for this kind of thing so we used the Fastpack25. 25 litres is pretty tight for an overnight trip so we did our best to cut weight as much as possible. Both of us have relatively light down sleeping bags and small thermarest mats. 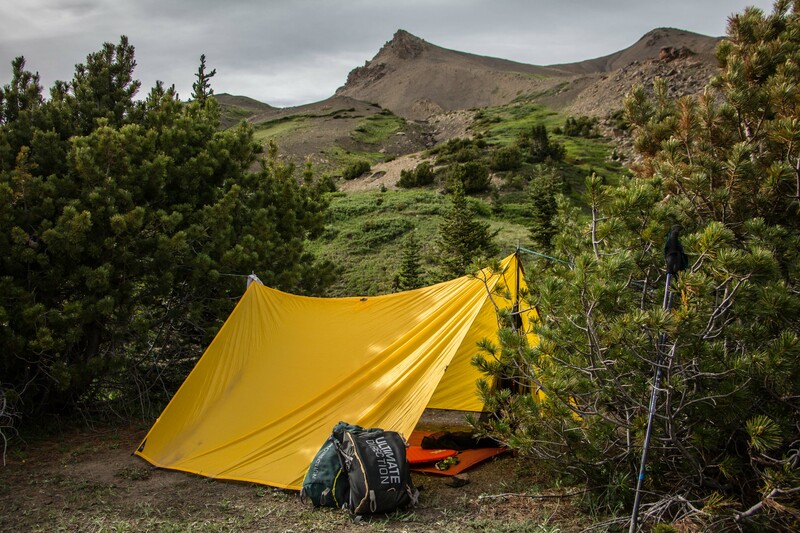 I did some research for shelters and settled on a RAB Guide Tarp and Sea to Summit Escapist Bug Tent as a pretty light weight option. We had an MSR Reactor stove and dehydrated meals. We splurged a little and overpacked on food. My only other major bit of extra weight was my DSLR camera – not something I’d carry every time but it was fun to have for this trip. We could certainly cut some weight on the stove but it was light enough. I think two nights would be pretty reasonable but beyond that, the weight of food gets pretty burdensome for a small pack! I’ll try to pare things down a bit more but I think we did pretty well! 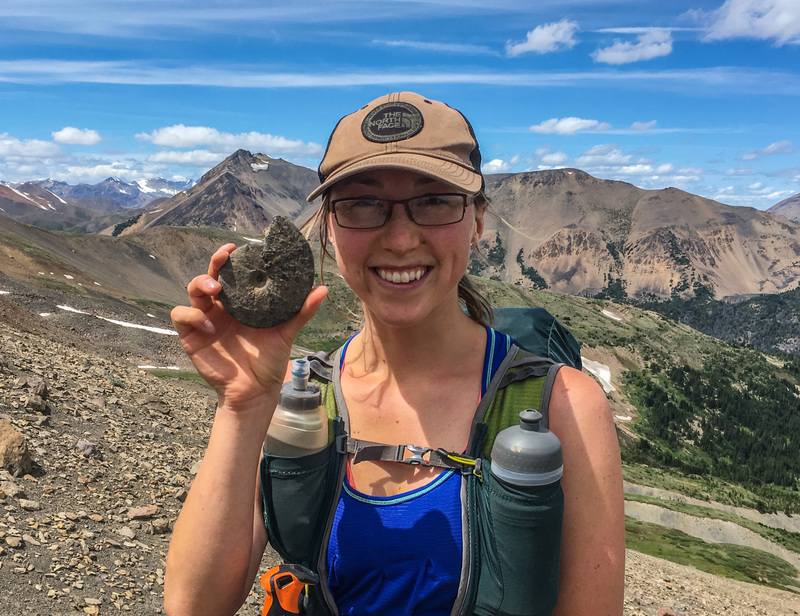 Interested in checking out the Chilcotins but not sure where to start? 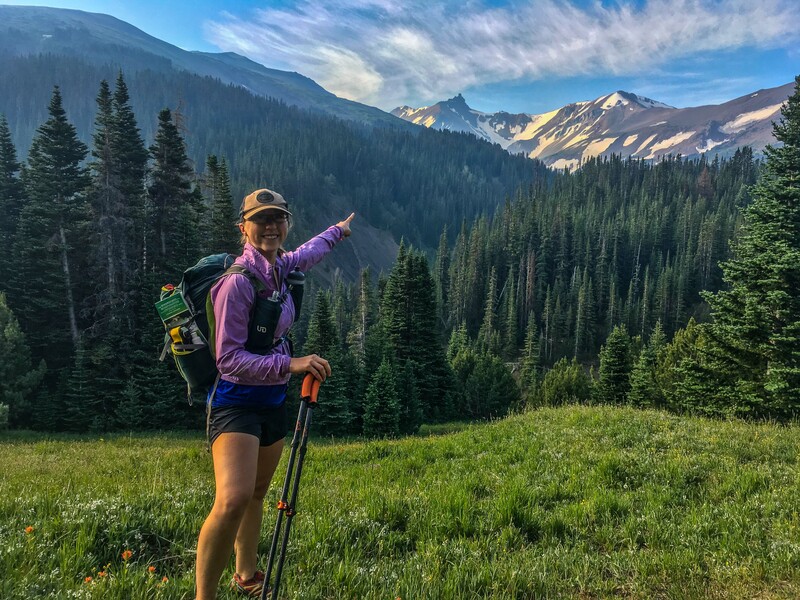 Check out Ridgeline Dream Trips and we will design a trip that’s right for you! Three mountain bikers starting their descent into Tyaughton Creek. Climbing scree slopes towards Teepee. Relay Ridge on the right and the Paradise Creek Basin separating it from Cardtable Peak on the left. 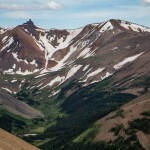 Looking from the Relay Col down into Paradise Creek Valley and towards Castle Peak. Andrea and I at Castle Pass. 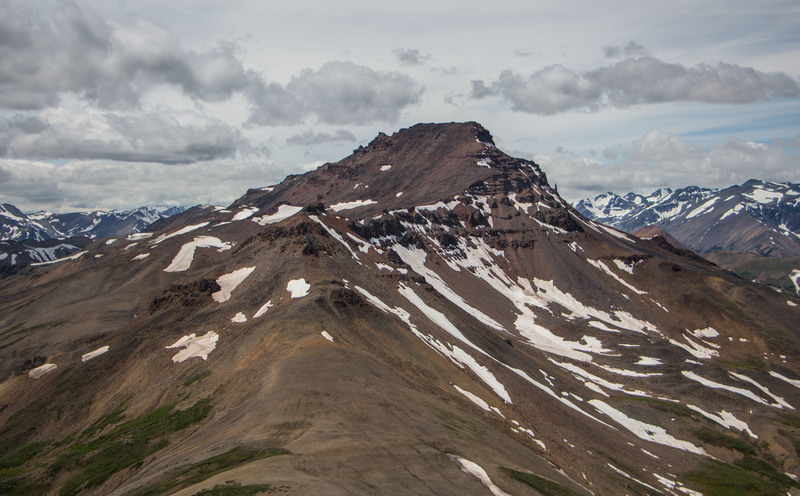 That’s where we are going tomorrow – Castle Pass! 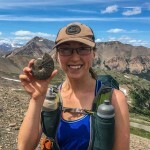 This entry was posted in Trip Report and tagged Andrea, Camping, Castle, Fastpacking, Overnight, Paradise Creek, Relay, South Chilcotins, Teepee. Bookmark the permalink.